Our mind determines who we are and what we do, if we don’t care of it, we will lose it! Work can be overwhelming at times, which can lead to poor decisions and irrational behaviour, which isn’t good for any business. 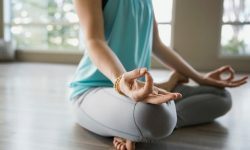 Mindfulness could help make you more resilient, regulate stress and increase emotional intelligence. Read the article below for some practical tips for introducing it in the workplace.